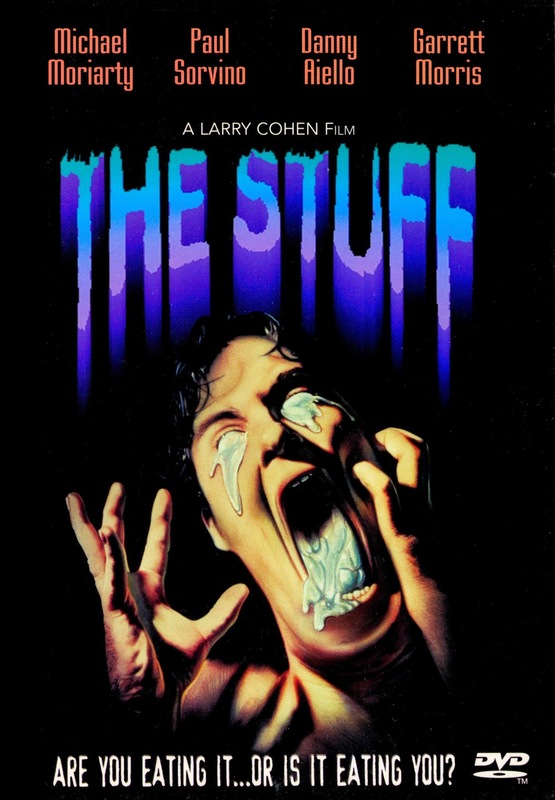 Larry Cohen's extremely eccentric masterpiece The Stuff has been available on DVD since Anchor Bay released it in 2000. It was certainly a must-have for fans at the time, but it finally received a much needed HD upgrade in 2014, and man is it an improvement. It's also a Blu-ray/ DVD combo, and these first few screencaps are actually taken from Arrow's DVD part of that package. Admittedly, if I was a film producer and Mr. Cohen came to me with this script, I'd never back it. I'd be like, I loved your past work and you've proven yourself commercially for decades, but you've clearly dived far too deep into self indulgence with this one. 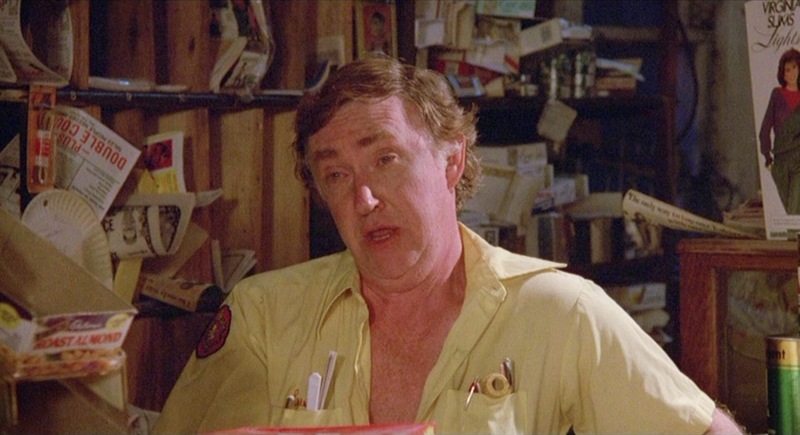 You've taken the balance you usually strike of an underlying wit in your traditional genre films and pushed it way out of whack, becoming down right silly and bizarre. But I'm so glad he didn't listen to the profit protecting producers of this world, and made this movie anyway. 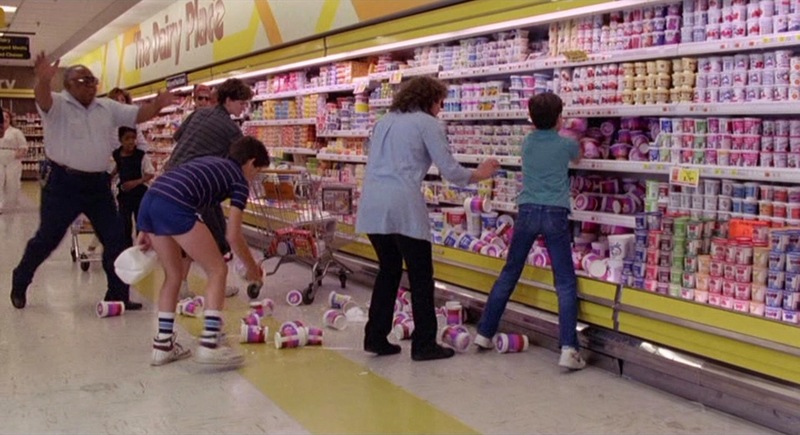 Superficially, The Stuff is a spin on the already off-beat cult flick, The Blob. That film starts off with an old man wandering off in the woods at night and finding a small, crashed meteorite. 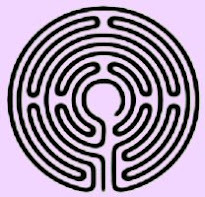 He touches it and a pink slime gets on his hand, which oozes up his arm and kills him by dissolving him. 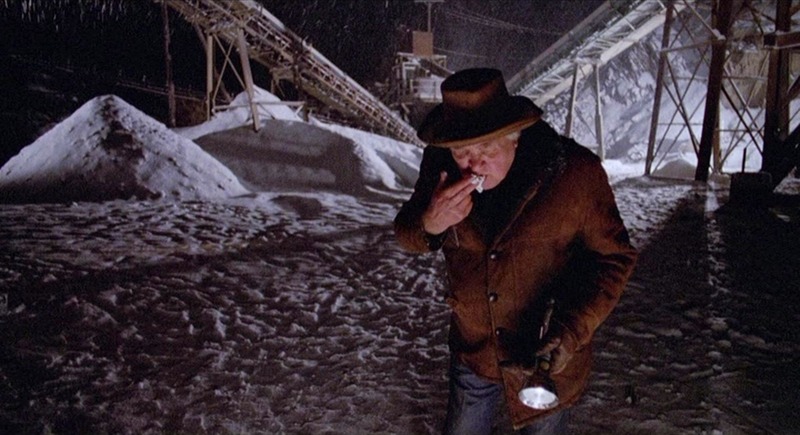 Well, in this film an old man is wandering out and finds a bubbling pile of white ooze on the ground in the snow. He touches it and... tastes it and it's wonderful. Suddenly, it's the new dessert sensation that's sweeping the nation. But it turns out to have a horrible secret. 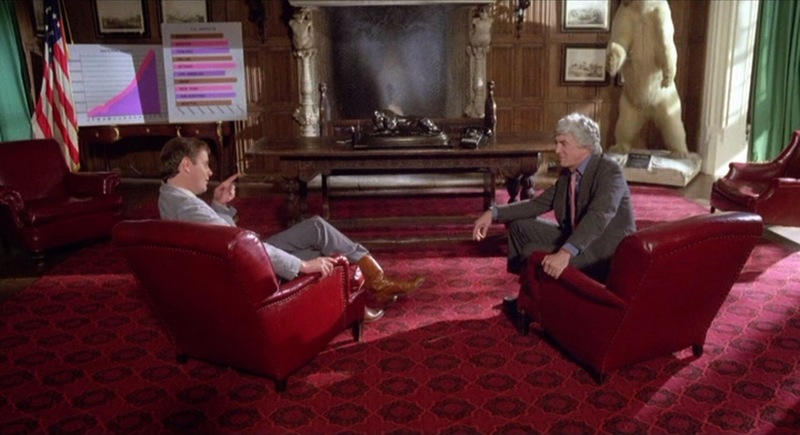 Soon, only a corporate saboteur played delightfully by Michael Moriarty, along with a small boy and Saturday Night Live's Garrett Morris wind up the only people who can save the world from a zero calorie doom. This film has a terrific cast, including not only the names above but Danny Aiello, Paul Sorvino, Cohen regular James Dixon and even the original Where's the Beef lady reprising her role for an in-film ad campaign. The special effects are mixed... some look great, some pretty poor. But it all somehow works in this service of this story that's constantly veering off in new and entertaining directions. This is a film that takes a specific mind set to really appreciate, but if that's you, you're going to love this movie. This didn't get the attention of some of Arrow's releases, but it's a terrific release. The Stuff gets a whole new transfer here, which looks and sounds great with a top notch 1080p transfer and lossless audio. And it wasn't until this came out that I realized how off the original widescreen DVD's framing was. Let's compare, with a shot of Anchor Bay's DVD on top and Arrow's new blu (not their DVD now) below. Admittedly, the colors look a little faded in the blu. This was right around the time of Arrow's Demons, and that's just how they were doing. 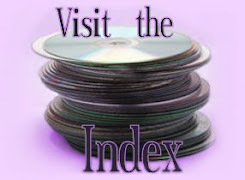 But, in comparison, the DVD looks over-saturated and contrast-y. The blu is just richer, more naturalistic and full of more detail. And look at all that additional picture information in the same 1.85:1 frame. To make it clearer, let's just drop the DVD image right inside of the blu's, so you can see the how much there is on all four sides, especially the left. Isn't that cute? Like a little rabbit in its burrow. Going back and watching the Anchor Bay release after seeing Arrow's, I couldn't help noticing how misaligned the entire DVD looked. Arrow has also created an all new retrospective documentary, which runs almost an hour long, featuring interviews with Larry Cohen, producer Paul Kurta, special effects creator Steve Neill, female lead Andrea Marcovicci, and film critic Kim Newman. 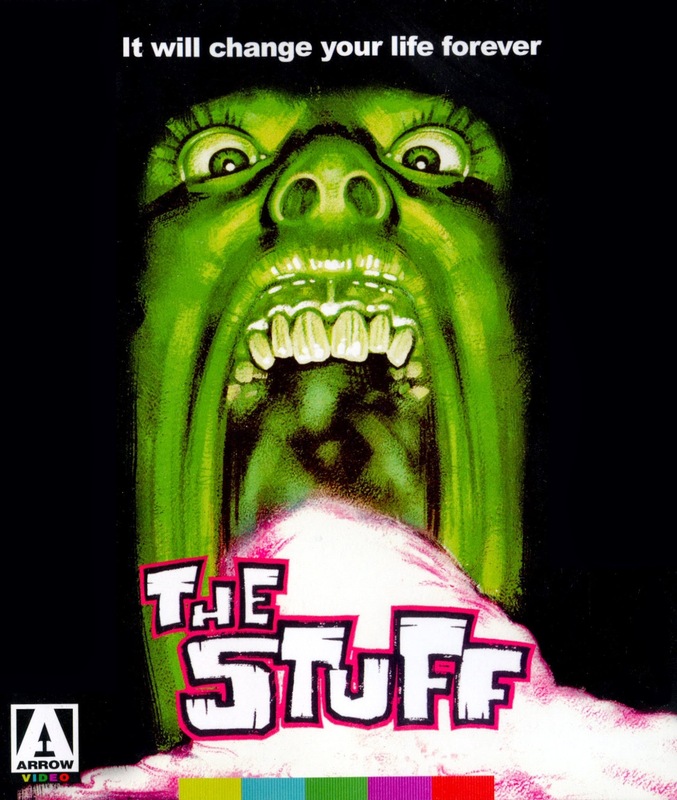 It also features the original theatrical trailer and an extra fun bonus, The Stuff's Trailers From Hell episode (more DVDs should include these! ), featuring the director of Saw 2 & 3, Darren Bousman. Oh, and a substantial little booklet. It all adds up to a terrific package that could only have been better if... they'd licensed the commentary from the original DVD. That's a highly entertaining and informative track (as Cohen's typically are), to the point where I'd not only say hold onto your old disc when you upgrade to this blu )it's so good, you really should upgrade even if you already have the DVD), but if you don't already have it, you should seriously consider tracking down an old disc just to have it as a companion piece. 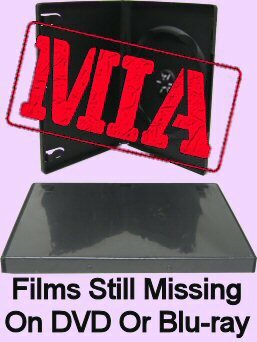 Watch out, though; as the Anchor Bay disc was replaced in the US market by a widescreen DVD from Image as part of their Midnight Madness series, which does not have the commentary or the new transfer by Arrow. But, if you're only going to get one... or, at least start out with one, there should be no question which, as Arrow really nailed it on this one.